Minister of Commerce, Trade and Industry Margaret Mwanakatwe says government will maintain its bilateral relations with the Democratic Republic of Congo – DRC. 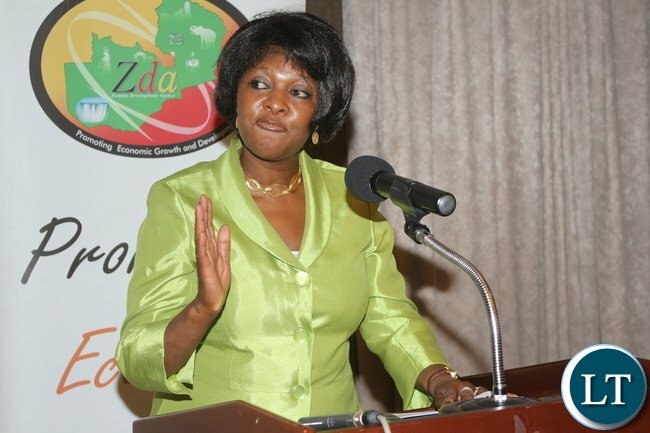 Speaking after a closed-door meeting with the Congolese Minister of External Trade in Lusaka yesterday, Mrs. Mwanakatwe said Zambia values its business ties with the DRC. The meeting was held to discuss the way forward in a matter in which the Congolese government is reported to have banned the importation of Cement, Carbonated drinks and beer from Zambia. And Mrs. Mwanakatwe said Zambia and the DRC will continue working together to fight smuggling and promote local industries in the two countries. Mr. Tongba said Zambia and Congo are sister countries that need to continue working together to develop their economies. The two ministers later signed an agreement authoritising borders to resume business. Grace overthrows the government. The army steps in to control, ati awe we don’t support military coup. So are you supporting the coup by Grace? Anyway, we are used to keeping refugees. If SADC and AU allow the coup to take place in Zimbabwe just because Mugabe has stayed for too long then the Army in DRC, Angola, Uganda, and in countries were they had disputed elections like Zambia and Kenya. They should not allow this foolishness. You can’t wake up one day and tell the President to step down. For what? This is a bad precedent. the tax authority I n Congo DR is not called ZRA. ???? I laughed!!! ????. Maybe she should have said DRCRA !!! ???? Is she addicted to some alcohol because she doesn’t look sober or normal sometimes. Her mind do not coordinate properly with the speech. Everything seems scattered in her presentation.